If you’ve been thinking about starting your real estate blog, now may be the best time to start. Sure, you might think it’s too hard or you don’t know how to write or you’re just overwhelmed by the idea. The truth is, setting up your website and blogging has never been easier and the payoff could be insanely profitable for your business. Still on the fence? Well look through our top 8 reasons why we believe now is the time to give your business a blogging boost. 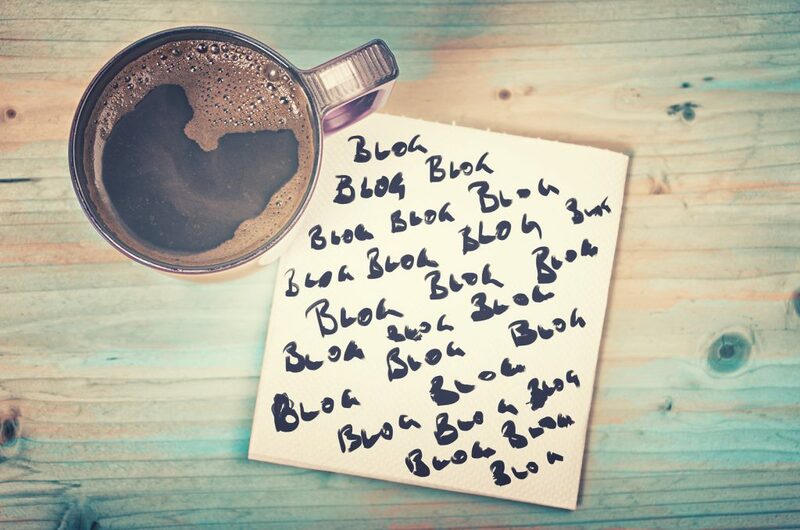 Guaranteed, most agents will never make the effort to blog. If you’ve said to yourself that you want to be different and stand out in your market, then blogging may be the thing for you. While blogging may be considered a ‘longer term’ marketing strategy, by the time other agents figure out what you’re doing to attract more business, you’ll be light years ahead of them. You’ll need a web hosting account to get started. For just a few dollars a month, you’re able to manage your own website. It’s never been easier to DIY. To generate leads, it’s all about more visibility and leads to your website. Instead of paying a third party lead provider, your content will attract leads ‘on-going’ at virtually no cost. Blogging is about creating content, posting it on your website and various social networks one time, yet you reap increasing benefits over time. It’s ‘evergreen’ because the blogging content is always available for your prospects and working for your business. When you create content for your blog, you want your market to find it easily through the search engines. Getting your content ‘ranked’ in google for example is a skill by itself, but if you have a good WordPress Theme with the right SEO Plugin, your content will be indexed over time. Here’s the central point of blogging in my mind. Building an audience (an email list) is the #1 asset for any real estate agent. Creating quality content that resonates with your audience and having a strong ‘call to action’ for each blog post, you’ll grow your local audience quickly. Blogging about your chosen segment of the real estate market positions you as the ‘go-to’ expert. The key here is to choose your market segment strategically and ‘go deep’ from all perspectives. You’ll soon be unbeatable. Not long ago, building a website would require you to hire a web developer and pay 1000’s of dollars to get your website built. Page Builders, like the one we use with BeaverBuilder Theme, makes it easy to create pages even if you have NO tech experience. Another good WordPress theme is the Divi Theme and Page Builder. It has more options which makes it a little more difficult but it allows you to create a beautiful website. BONUS REASON FOR STARTING A BLOG NOW! In the title of this article it says “even if you’re not a writer”. Well, there’s help for that too. Use a service called iWriter – they help you write your blog posts. They write the blog post for you then, you simply add your personality and flavor. Visit iWriter and see for yourself. All I can say is to get moving you just need to get started. Take the first step and get your web hosting setup. Then, setup WordPress with the automated script. From there, you’ll want a good Theme like I mentioned above and a few plugins. From there, you’re off to the races. Happy blogging!